If you haven’t heard yet, Sibley State Park was the second most attended attraction in the Central Region of Minnesota for 2017 with an attendance of 258,226 people. This very popular destination in the Willmar Lakes Area just happens to be celebrating their Centennial Anniversary of becoming a state park this year! And if you can handle even more great news…2019 is the first year that Sibley State Park has been featured on the MN State Park Annual Vehicle Permit! If you’re like me, you’re wondering how do they plan on celebrating all these amazing things. Angie Soller did a great job capturing the fog settling among the trees at Sibley State Park. I want to start off by sharing the story behind the stunning view of the sunset from Mt. Tom that is being used on this year’s vehicle permit. The photo which was originally posted on the Parks and Trails Facebook page by the photographer caught the eye of park staff. The photographer, Angie Soller, graciously allowed Minnesota Parks and Trails to feature the image on the 2019 State Park Vehicle Permit. Soller explains “[The photo] was taken on the evening of Sunday, June 11, 2017. There had been strong storms (maybe even severe if I remember correctly) in the area that morning and the air was still very humid. We were planning to arrive at Sibley later that day, but, in fact, the weather forecast for the duration of our intended stay was not really very good and we considered just cancelling the trip. Ultimately, we decided to go anyway, and we arrived at the park later in the afternoon and then decided to visit Mt. Tom that evening. When I saw the fog from all that humidity settling among the trees, I just had to try to capture that. I was very happy to be successful! 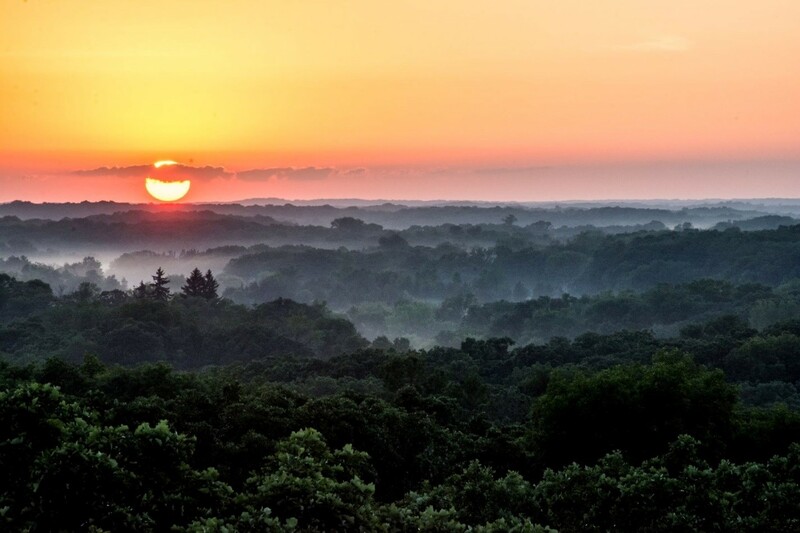 Sometimes it’s all about being in the right place at the right time!” Make sure to purchase your 2019 State Park Annual Vehicle Permit to hold this memory of the breathtaking view from Mount Tom at Sibley State Park. 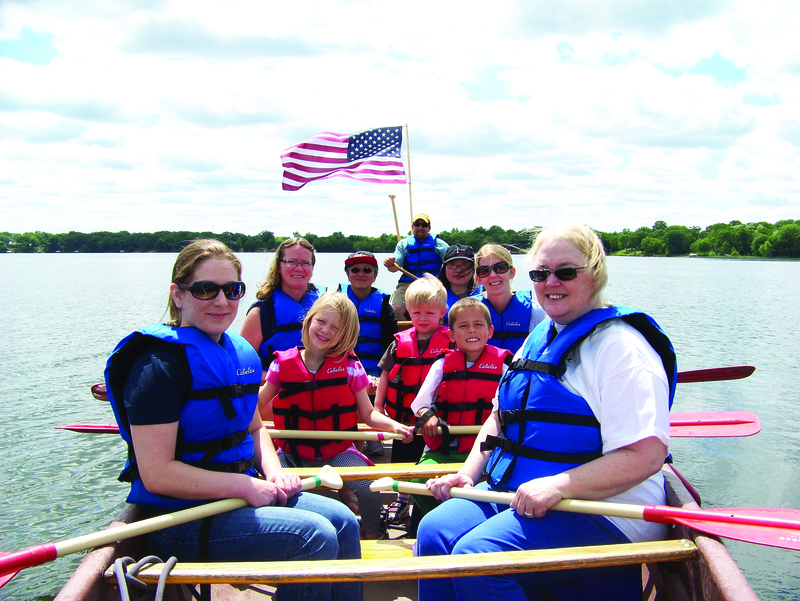 Don’t miss the guided paddle on a 20-person Voyageur canoe ride on Lake Andrew June 8th! snowshoe as you hear the story of Sibley’s creation. Then you’ll gather inside for a community potluck lunch and play Sibley State Park trivia. What a great way to start off the busy season at the park! 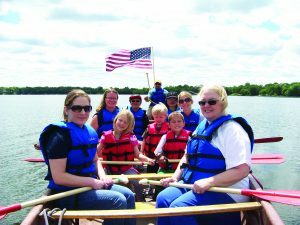 The fun continues in May with other Centennial events such as a New Moon Walk, a Canoe Paddle on Lake Andrew, and a History Bike Ride. Did you know Sibley State Park used to be a neighborhood of homes, farms and families? Join the naturalist on May 25th as they pedal into the past for a guided bike ride where you’ll hear the stories of Sibley’s past and visit homestead sites. On May 26th, they are also hosting a Sibley and the Civil War event where you’ll discover how the Civil War was directly influenced by the park’s namesake, Henry Hasting Sibley, and the happenings of the Conflict of 1862, our nation’s other civil war. June brings another birthday bash on Saturday the 8th! Starting at 9am, you’ll be able to enjoy a guided paddle on a 20-person Voyageur canoe ride on Lake Andrew. Definitely a unique experience! Then from 11am-12pm enjoy a retro game of ‘kitten ball’; an old name for the game of softball, because the ‘ball was as soft as a kitten.’ The game was played on the dried-up beaches of Lake Andrew during the Dust Bowl and by the members of the Veteran’s Conservation Corps when they rested from building the park. Then be sure to bring a blanket to lounge on and enjoy music by Siama Matuzungidi, free snacks and beverages on Cedar Hill. And to make this celebration even better, it’s National Get Outdoors Day so there is free admission to the park! Enjoy one of the interesting History Hikes this summer on the first and last Saturday of each month. There are many more events taking place in June to continue the Centennial Celebration, especially on June 22 where there will be more live music by Jesse Eugene! Here are some other big dates you should put on your calendar this summer. July 27th is another big celebration day with a variety of events taking place. Enjoy a walk through the prairie and meet the wildflowers at the Wildflower Wonder event, sit back and watch the Mankato Baltics Vintage baseball game, build a bee box, and enjoy music on the shores of Lake Andrew. August 24th will be another day filled with centennial events including a guided canoe program and music on the shores of Lake Andrew. There will be guided Full Moon Hikes all summer long as well as History Hikes and Rides and the first and last Saturday of each month, Memorial Day through Labor Day. 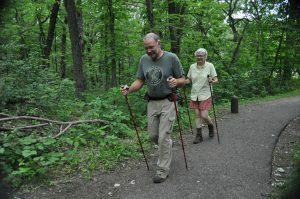 I don’t know about you, but I know where I’ll be spending lots of time this summer: at Sibley State Park learning about their amazing history and enjoying a bunch of activities I’ve never done or even heard of! 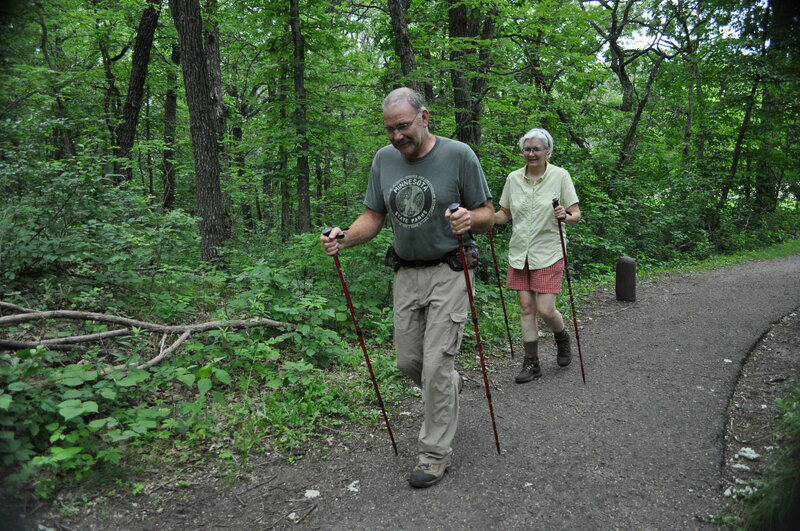 There is definitely something for everyone at this popular west-central Minnesota State Park and I’m positive that you’ll walk away with an experience you’ll remember forever, just like Angie Soller did. Remember to take lots of pictures!